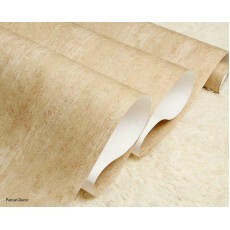 These wallpapers are specially designed to add a fabulous textured effect to any room. The brown effect wallpapers is perfect for achieving the modern indoor and outdoor trend. These wallpapers come in a natural brown colour scheme which is perfect for dining room, corridors and living space. We trend along the way, seeing that the hyper-realistic look of brown effect wallpapers helps our clients bring the elegance of the luxurious stun into their home in an exceptional way. The most amazing thing about our wallpapers is that clients all over the country can reach out to us, either through online or physical means. Whether you are in Thika, Nairobi, Kisumu, and Mombasa or any other places in Kenya, our brown effect wallpapers are very much available. We aren’t excessive when charging for our wallpapers, and although we aren’t very cheap, you certainly will see the worth of your money in the quality products that we shall sell to you. Give your house that fantastic & classy look with our very trendy and beautiful brown effect wallpapers.